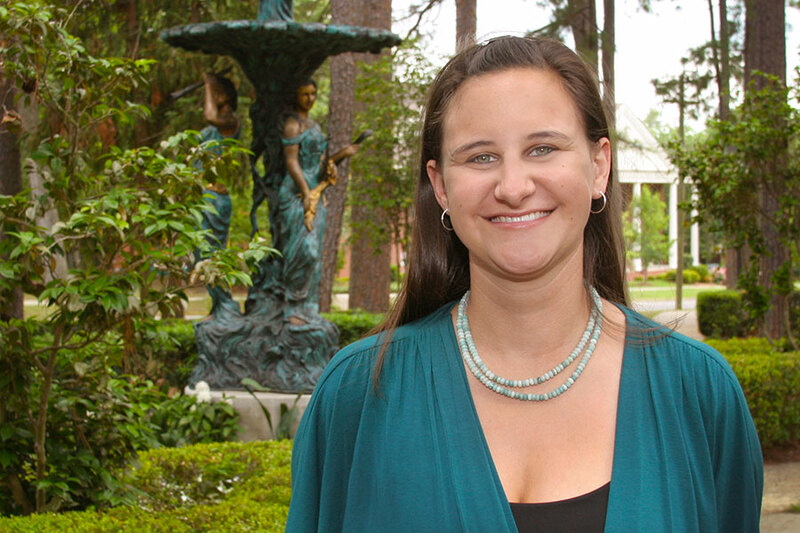 Florida State University’s Elizabeth Swiman is one of 100 individuals from across the country recognized as a Difference Maker by the Teachers Insurance and Annuity Association of America. Swiman is the director for Campus Sustainability at Florida State. The TIAA Difference Maker Award honors people who have devoted their lives to improving the world and shaping a brighter future for humanity. Swiman, who is a trained wildlife ecologist, has been with Florida State since 2007, originally working in the Division of Student Affairs. She moved over to Facilities in 2010 when the Office for Campus Sustainability was created. Since its inception, the office has served as a hub for pre-existing programs, such as Garnet and Gold Goes Green, FSU’s gameday recycling initiative, and has spearheaded the creation of new sustainability efforts. One of the most notable initiatives is FSU’s “Chuck It for Charity” event, which Swiman established in 2008. The program gives unwanted items from student move-out a second life with local charities throughout the community. To date, “Chuck It” has collected and donated more than 138 tons of reusable items. Under her guidance, FSU also has orchestrated a food recovery program that resulted in 40,000 pounds of donated meals, a book club, a low-cost bike initiative for students and a campus garden. Swiman was nominated for the award by fellow FSU colleague and friend, Cassandra Rayne. The recognition comes with a $10,000 award to a charity. Swiman chose for her prize money to go to the FSU Green Fund, which supports project ideas by students, faculty and staff that create campus sustainability. Swiman said the award earnings will be a nice addition to the fund, which she raises money for annually. To learn more about FSU Sustainable Campus, visit sustainablecampus.fsu.edu.